A Respiratory Therapist specializes in assessing and caring for patients who have respiratory disorders, diseases and general problems breathing. They work under medical supervision and as part of teams, such as respiratory care departments, anesthesiology or pulmonary rehab. In emergency situations, RT’s also are put into action when a patient may be in shock, suffering a heart attack, were close to drowning or choking. One of the typical tests RT’s administer to evaluate a patient’s condition is a Lung Capacity Test, during which patients are asked to breathe into an instrument that measures the capacity of their lungs and oxygen levels. They hook patients to an oxygen tank, if needed and track the oxygen level in their blood. If it drops below a determined level, this may indicate the patient needs breathing assistance. If a patient cannot breathe properly on their own, a Respiratory Therapist inserts a ventilator into the patient’s windpipe to induce artificial respiration. 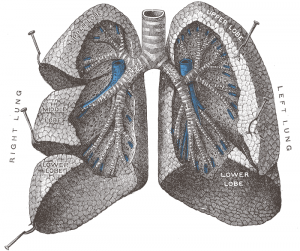 Asthma, emphysema, infections, cancer, cystic fibrosis or chronic respiratory diseases are among the respiratory problems that an RT can treat, within a broad patient age range starting from a premature infant and all ages in between and up to the elderly. Respiratory therapists are required to keep close records of each patient and their progress and evaluate the findings of examinations. Although most Respiratory Therapists work in hospitals, they can also be found in home care and nursing care facilities. Hospital shifts are long and RT’s spend long periods of time on their feet caring for patients. Individuals who work in hospitals will often work evenings, nights and weekend hours to help cover all of the shifts. Those who work in home care are responsible for teaching patients or their families how to properly use all of the equipment needed to care for a patient at home. During routine visits to patient’s homes they will inspect the equipment to ensure that it is working properly. A therapist will also respond to emergency calls for home visits when necessary. The growth of the middle aged and elderly population is increasing job demand to treat conditions that are common in older age, including permanent damage suffered from diseases such as pneumonia. The BLS also conveys that the median annual wage of an RT was about $59,871 in 2017. To become a Respiratory Therapist, one must acquire at least an associate’s degree. However, it is even better to obtain a bachelor’s degree, as it shows dedication and further education. 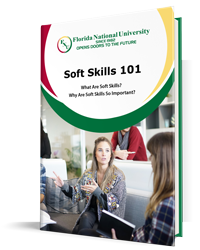 Florida National University is dedicated to helping the members of its immediate community in Hialeah and South Miami achieve their dreams. Healthcare is one of the highest paid fields and also one of the fastest growing, according to the BLS. At FNU, we offer several healthcare related programs for our community to excel in healthcare and achieve top positions, and higher job and life satisfaction. Take a look at the Student Handbook for an Associate of Science in Respiratory Therapy to see all of the details on requirements, courses and their description. A Bachelor’s Degree at FNU requires a minimum of 120 credits to graduate. 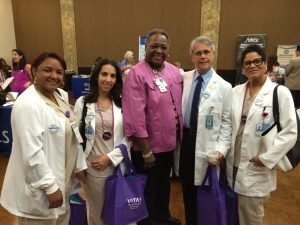 The program enhances the knowledge of a RT graduate by providing them with the skills to manage patients while staying aware of cultural diversity and the skills needed to supervise in the health care setting. Upon graduating as a Respiratory Therapist, students are eligible to take the entry-level exam of the National Board for Respiratory Care (NBRC) to become a Certified Respiratory Therapist. Following the certification, therapists may take the advanced written and simulation exams of the NBRC to become a Registered Respiratory Therapist. Note that FNU is fully accredited to award Certificates, Associate’s, Baccalaureate and Master’s degree programs that are nationally recognized. 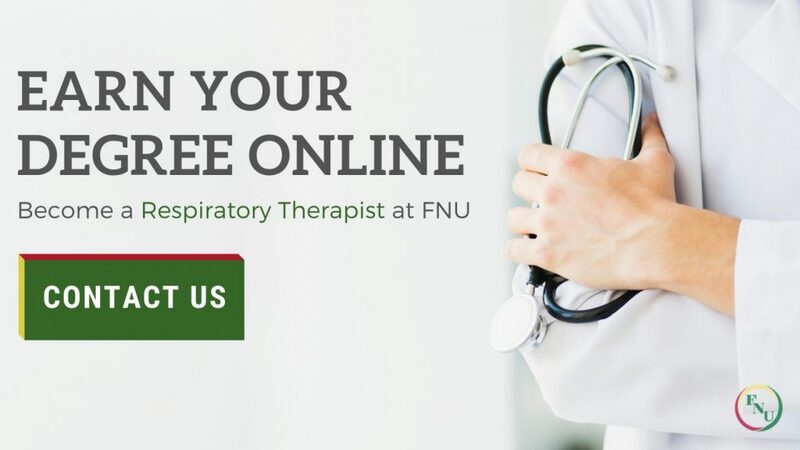 If you are considering a path in Respiratory Therapy, FNU is ready to welcome you in to the family of growing healthcare students! Take a closer look at our Associates Degree and Bachelor’s Degree programs. If you are still searching for your career path, FNU can help! Check out our other programs and apply today! At FNU we offer military, government employee and other tuition incentives, financial aid options for FNU students and a list of general scholarships as well. Do not hesitate to call us to ask about any of these options at +305-821-3333, or contact us online.